If you are looking for computer repairs Basingstoke then you have come to the right place. We're experts in computer repairs Basingstoke of all manufacturers of any age. In addition to our computer repair services in Basingstoke we also carry out computer upgrades and new computer setups. We offer a range of laptop repairs Basingstoke which include, general laptop repairs, virus removal and laptop upgrades. Additionally we also do the following and more; laptop screen replacement in the comfort of your own home, virus and malware infection removal, performance issues, email not working, network issues and data recovery. Are you looking for small business IT Support in Basingstoke? We provide small businesses who do not have the budget for in-house IT support a first-class service at an affordable price. Our IT Services include general computer repairs, network repairs, Apple Mac repairs & Microsoft server repairs. Additionally we specialise in data backups, email, upgrades, web design and SEO. Are you getting annoying pop ups whilst searching the internet? Is your computer running very slow and programs not working as they should? Has your computer been hacked into? We have many years of experience dealing with computer virus removal in Basingstoke and Apple Mac virus removals in Basingstoke. 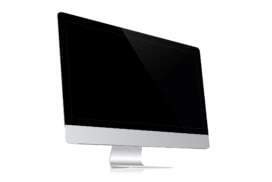 We proudly service Apple iMac's and Apple MacBook's in Basingstoke. All the replacement parts we use come with a guarantee and we always aim to be much cheaper than our competitors. 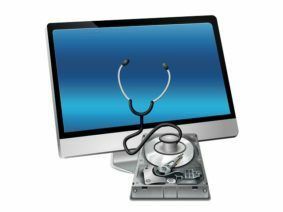 Our Apple iMac and Apple MacBook repair services include; boot up errors, email issues, virus infections, hard drive replacements, SSD upgrades, RAM upgrades, slow performance issues, and much more. 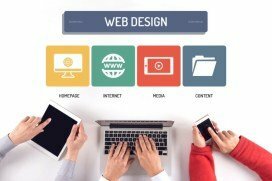 Looking for a professional and affordable Website designer in Basingstoke? We have a great passion for creating tailor-made websites for small businesses in Basingstoke. We work closely with you in understanding your business goals and requirements. Furthermore we can build you a website from the ground upwards, take care of Search Engine Optimisation (SEO) and digital marketing so you rank high on Google. OUR COMPUTER REPAIR & LAPTOP REPAIR BASINGSTOKE PRICES? Our minimum 1 hour on-site labour charge is only £55.00. We do not charge for travelling. We offer a 10% Discount for those over 60 or students. Most computer repairs and laptop repairs Basingstoke are carried out within the hour however if the repair should take longer we will give you a fixed repair quote. Most noteworthy the vast majority of computer faults are diagnosed by us correctly first time so you don't pay for repairs that don't solve the initial problem or are not needed. Above all we guarantee our laptop repairs, Apple Mac repairs and computer repairs in Basingstoke. Accordingly all new replacement computer components we use come with a standard 12 months manufacturer's warranty. Therefore, if in the unlikely event a component that we have installed fails within 1 year of the repair we will replace the component free of charge. In addition to this we also offer a 30-day guarantee on all computer repair and laptop repair services we have performed providing all preventative measures have been used. Q Are you a reputable company? A We are a small computer repair and IT Support company that has been proudly serving the residence and local businesses in Basingstoke since early 2010. 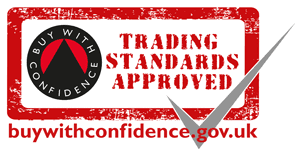 Furthermore we are Hampshire County Council Trading Standards Approved & vetted. Q Is your company qualified to work on my computer? 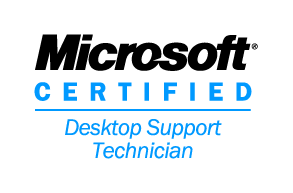 A Yes all computer technicians are Microsoft qualified and Computing Technology Industry Association Certified. Q What is the reason why I should use you instead of a competitor such as PC World for my computer repair? A Because we are a small family run business we pride ourselves on offering a personal service to our customers. You will speak directly to the person doing your PC repair, Laptop or Apple Mac Repair and you will receive regular progress updates. Also unlike us, most large computer repair companies send your computer off to be repaired by a 3rd party. This often adds days or weeks to the repair turnaround not to mention the repair cost of paying 2 companies to do the work of one. A We accept cash payments, BACS instant transfer payments & secured online payments from most major credit and debit card providers. Sorry, we do not accept personal cheques. Q How long will my laptop or pc repair take? A We repair most computer faults on-site and within 1 hour. If we need to take your computer away then we normally have it fixed and ready to be returned to you within 2 business days. We never send your computer off to be repaired by a 3rd party. Consequently, this allows us to get your fixed computer back to you extremely quickly.